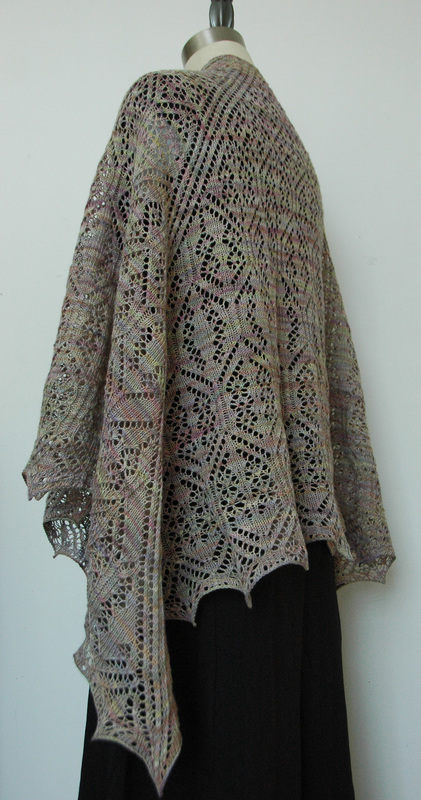 July 12, 2012 update: “Parterre Garden” was originally part of The Sanguine Gryphon’s Summer 2011 pattern collection, and is now available directly from the designer (me!). An old English parterre garden painted on string instead of canvas. Its overflowing beds of flowers and its twining, twisted paths depicted with lace and cables, rather than oils or pastels. A knit garden where skinny little cabled paths meander through, between and around beds stuffed full of lacy flowers. While two stick straight carriage lanes split one garden into three. 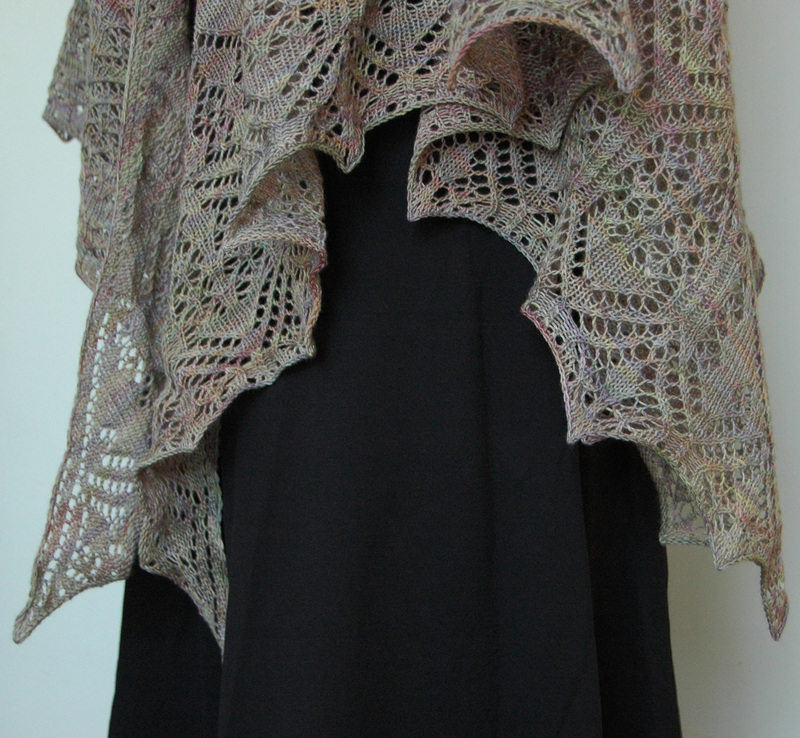 This shawl is worked in one piece, beginning at the back of the neck and worked down to the hem. The paired increases are used to create three quarters of a square, allowing the shawl to sit neatly upon your shoulders. Just before the bind-off, an eyelet row is worked, to ensure that a thorough blocking is possible. The pattern calls for two m1 stitches in a row. To accomplish this, lift the bar between the stitches and knit. Repeat. It works best if both m1 stitches are worked in the same manner and careful attention is payed to maintaining an even tension. 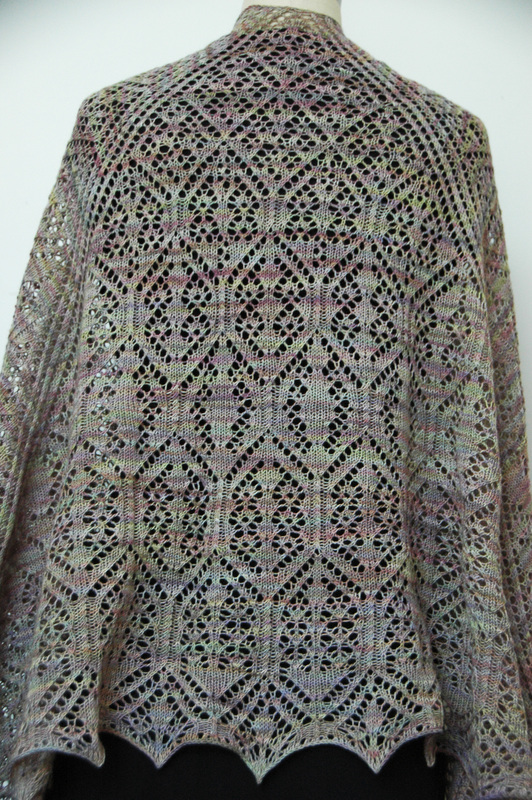 Note: The sample shown was knit alternating skeins every other row. Both charts and written stitch directions are included.